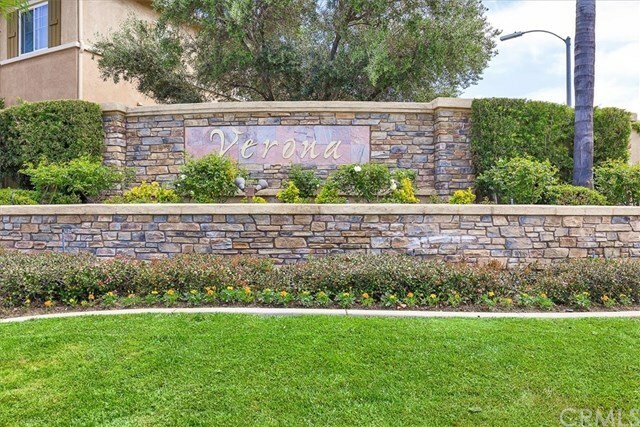 Welcome to the beautiful gated community of Verona! This Condo is located upstairs and on the end which is more desirable. There are 2 bedrooms and 2 full baths PLUS a nook that can be used as a play area for little ones or as an in home office. Patio just off living room slider is private with wrought iron rails. Garage is detached and conveniently located within the unit. HOA amenities include the large sparkling pool as well as complete fitness center/gym!! This home is in close proximity to the 215, 15 Freeways, shopping and restaurants.